Mole and Rat have a pleasant life by the river, where they talk, boat and wile away the days. The wise and private Mr Badger lives sedately in the Wild Woods, content in his solitude. Then there's Mr Toad - wealthy, impulsive and utterly obsessed with motor cars, he's always getting into scrapes and can't survive without the help of his friends. 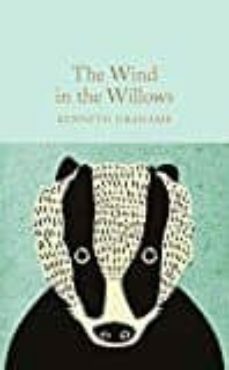 One of the most celebrated works of classic literature for children, The Wind in the Willows by Kenneth Grahame remains a timeless tale of camaraderie, loyalty and bravery more than a hundred years after its first publication. With sixteen gorgeous colour illustrations by the celebrated Arthur Rackham, and an afterword by author David Stuart Davies.